The back label of wine bottles can be valuable real estate. Unfortunately, this area is often overlooked. 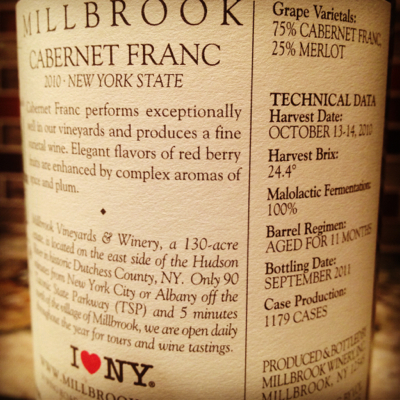 I recently opened an old favorite from my cellar, the Millbrook Cabernet Franc. Nearly 6 years ago, I tried my first New York wine, a Millbrook Pinot Noir. Ironically, I was staying at the W Times Square and decided to stay in and order room service. At the time, any local wine on a menu was rare. Nonetheless, I ordered and have followed Millbrook Winery ever since. The back label of the Millbrook Cabernet Franc is one of the most thorough I’ve seen. I like to compare it the 5 W’s – Who, What, Where, When, and Why. Wine is so such much more than just a drink to me. 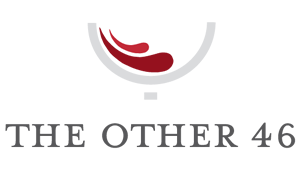 It’s an opportunity to learn, to understand the story behind the wine or the vintage. It’s an opportunity to connect. And in this social world we live in today, why not take advantage. Cheers!